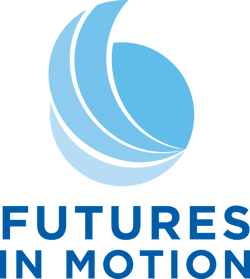 Repackaging Your Skills Coaching Program - Futures in Motion, Inc.
No matter the situation, you’re frustrated and discouraged and don’t know what else to do. IT’S POSSIBLE TO CONFIDENTLY CONNECT TO THE RIGHT JOB BY FOCUSING ON YOUR INDIVIDUAL STRENGTHS AND ACCOMPLISHMENTS. Welcome to the Repackaging Your Skills Coaching Program where you’ll learn how to package your qualifications to get the job you want. Success in your career transition is the result of preparation and luck. You can bring more luck into the equation with the right preparation and consistent action in support of your career goals. If you’re ready to break through job search barriers, you don’t have to go through it alone. I’ll guide you in clearly defining a job target, communicating your skills and accomplishments in a compelling way, and executing an effective job search strategy. Are you ready to move forward with focus and confidence so you can get the job you want in less time and less stress?